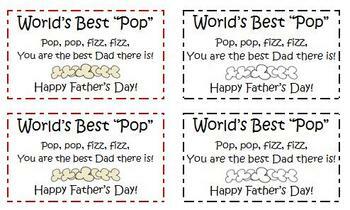 HereÃƒÂ¢Ã¯Â¿Â½Ã¯Â¿Â½s a quick and easy gift for your students to make for FatherÃƒÂ¢Ã¯Â¿Â½Ã¯Â¿Â½s Day. 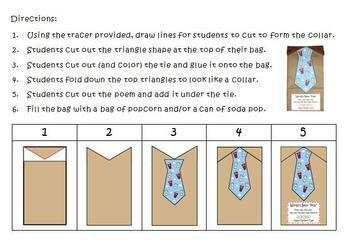 Have them decorate a paper lunch sack as directed to look just like a shirt and tie. 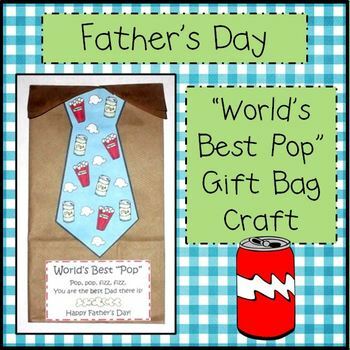 Then, fill the bag with a can of pop and/or some popcorn and viola - a great gift for Dad! 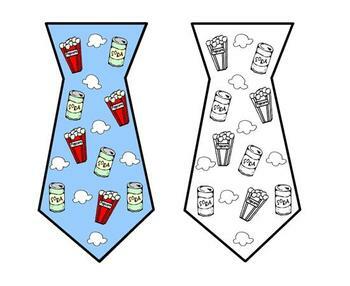 Illustrated directions, template and color & b/w versions included.